Four organ transplants were carried out at the Rabin and Schneider medical centers in Petah Tikva last weekend thanks to a donation made by the family of a 32-year-old deceased woman. The family agreed to donate the organs after the woman's parents discovered that she was a fan of the ADI organization, which advocates organ donations, on her Facebook account. Hilla Abramson, a social worker from the central city of Kiryat Ono, suffered from juvenile diabetes since the age of six. Due to the circumstances, she was certain that her organs would not be suitable for donation and therefore did not sign an ADI card, but was a fan of the ADI page on Facebook. About two weeks ago, Hilla experienced a sharp drop in her blood sugar level. As a result, she lost consciousness and suffered cardiac arrest. She was rushed to the intensive care unit at the Chaim Sheba Medical Center at Tel Hashomer, where she was hospitalized for a week. It was clear to the doctors that she was suffering from irreversible brain death. 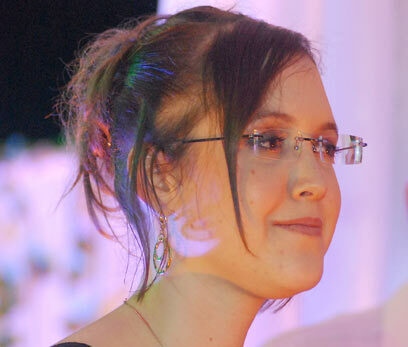 "We were given two options," recounts Hilla's father Ze'ev Abramson, "either to disconnect her from the machines and donate her organs in order to save lives, or to continue applying artificial respiration, when it was clear that irreversible brain damage had occurred and that she continued to suffer. We decided to release her from her suffering." Last Wednesday, Hilla was disconnected from the respiratory machines and the process of salvaging the organs from her body began. How did you respond when you learned that her organs were suitable for transplant? "We were totally shocked," says Ze'ev. "We thought, like she did, that the organs would not be suitable for transplant because of the diabetes disease. During the entire week she was hospitalized in the intensive care unit her organs functioned impeccably." How did you make the decision to donate the organs? "Hilla was a social worker, she completed her BA and MA degrees at Bar-Ilan University with honors, and engaged in giving to others her entire life," says Ze'ev. "There was no doubt that this was what she would have wanted. We didn't know what to decide, but we knew what she would have wanted and the answer was clear in advance: To save lives." The thing that helped the parents decide was Hilla's account in the popular Facebook social network. Immediately after discovering that she was a member of the organ donation page, they gave their consent to donate her organs for transplant. The transplants were performed last Thursday and Friday. The liver and kidney were transplanted in the body of a 64-year-old doctor from Petah Tikva who has been suffering from fatty liver disease for over a year. His condition is stable. One lung was given to a 53-year-old patient and another to a 64-year-old man. The operations were carried out at the Rabin Medical Center in Petah Tikva. Another kidney was transplanted in the body of a 13-year-old boy at the Schneider Children's Hospital. All recipients were said to be in good condition. The lung recipient is a 53-year-old Ramla woman, married with children, suffering from scarring of the lung due to pulmonary fibrosis. She waited six years for a transplant, and was moved to the top of the recipients' list after her condition deteriorated. The second lung recipient is a 64-year-old Holon resident suffering from chronic obstructive pulmonary disease (COPD) due to heavy smoking. He had been waiting for a transplant for a year. He is now in stable condition. "Hilla would have been very proud of what we have done," her father says. "We are in great sorrow over her death, but we are happy that she gave life to others. All that is left for us is to hope that this act will inspire others, because this was Hilla's heritage: Endless giving." See all talkbacks "Organs donated thanks to Facebook "